Hikifuda, a print from the Meiji period used as an advertising flyer by local shops. 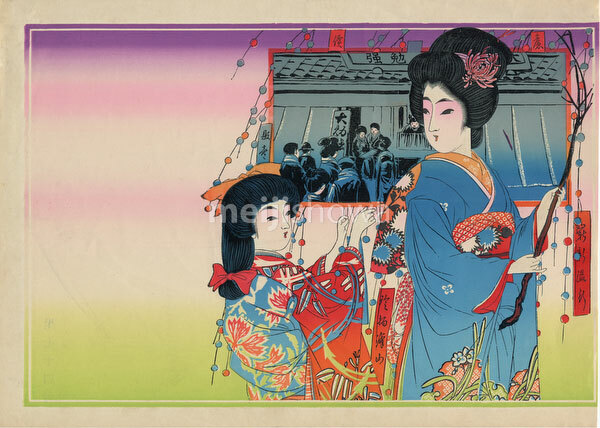 The print shows a beautiful woman in kimono and traditional hairstyle with a young girl celebrating Tanabata, the Japanese star festival. Early 20th century.